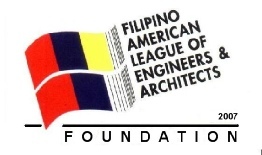 Filipino-American League of Engineers and Architects (FALEA) has established the FALEA Scholarship Fund for the purpose of providing scholarship to Hawaii residents who are attending or planning to attend college/university to pursue a degree in Engineering, Architecture, Surveying on a full-time basis. Successful applicants will receive a grant in an amount to be determined by the Foundation based on finances and demonstrated student financial need. A recipient can again apply for the scholarship grant for the next academic year. Scholarship award will be given during the FALEA officers’ installation banquet on November 3, 2018 (Saturday). High School and/or College Transcripts are used to determine academic performance. At least 3.00 GPA. Original transcripts must be submitted. Photocopied transcripts or transcripts downloaded from the internet will not be accepted. An essay that will provide the applicants the opportunity to express themselves. The essay must explain why the applicants are seeking scholarship, what extra curricular activities they have been involved, what positions they held in organizations or clubs, community service and other information that they feel might be helpful. A recommendation letter is required (use the attached Recommendation Form). The recommendation shall be from any FALEA members, past employers, teachers or professors.